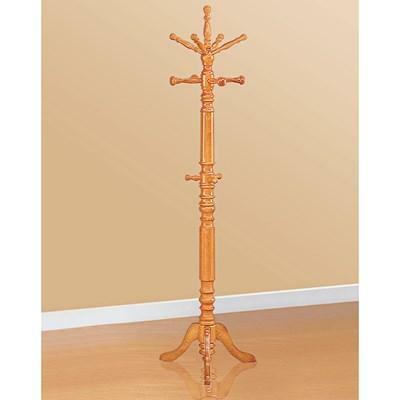 Hang your coats and hats within reach on this traditional style coat rack. 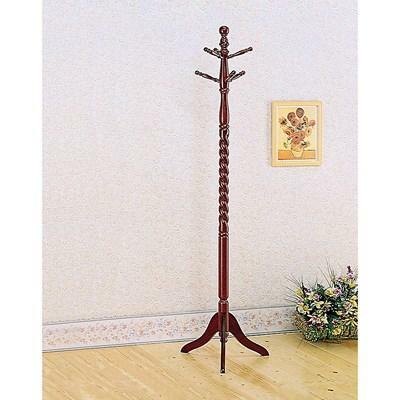 Finished in a rich merlot, this coat rack features a twisted center design adds a unique feature to this post. 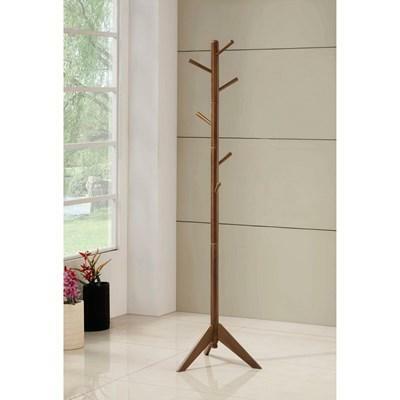 This coat rack is also available in an oak finish. 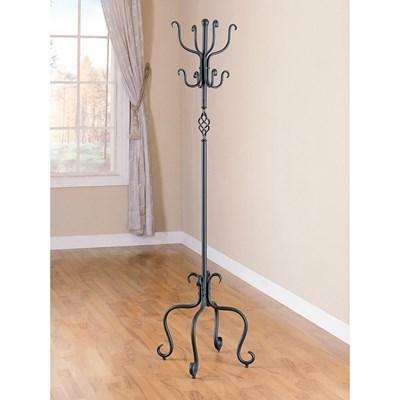 Coats and hats have nowhere to hide when you add this coat rack to your entryway. 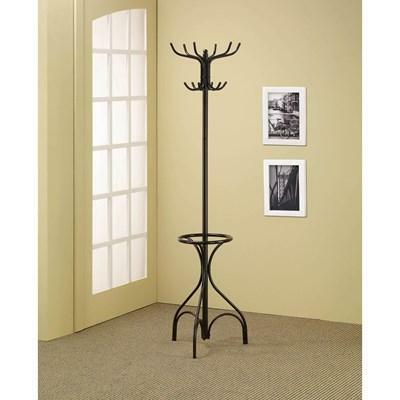 This rack comes in a black finish and features triple-tiered hooks with rubber tips. 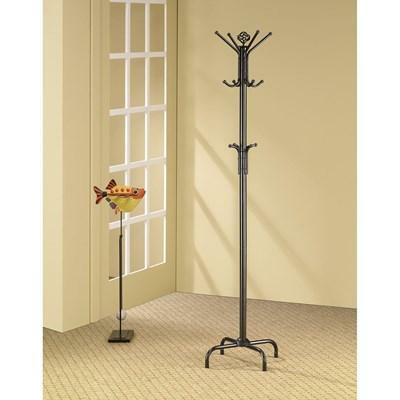 Keep everything organized for when weather strikes on this coat rack. 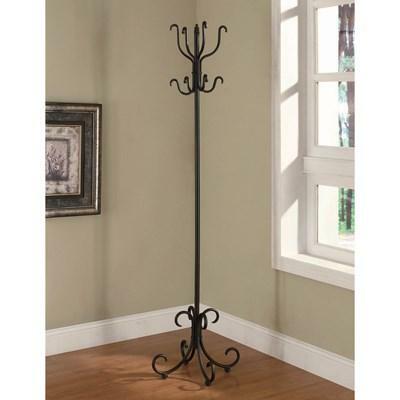 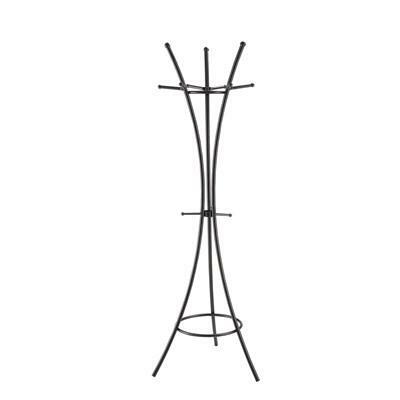 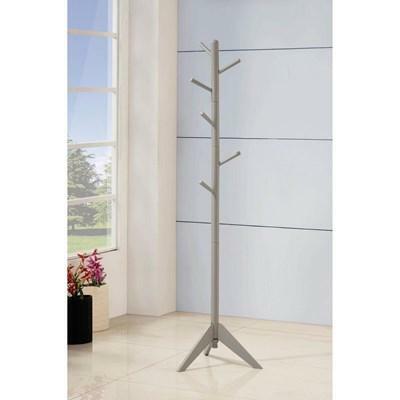 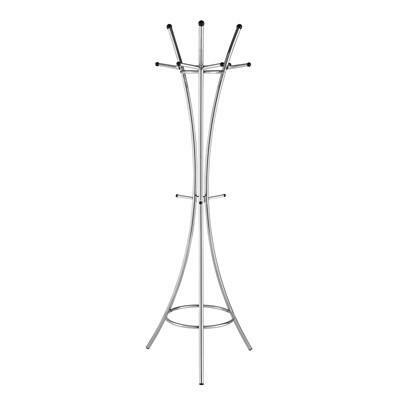 This elegant metal coat rack is the perfect addition in your entryway. 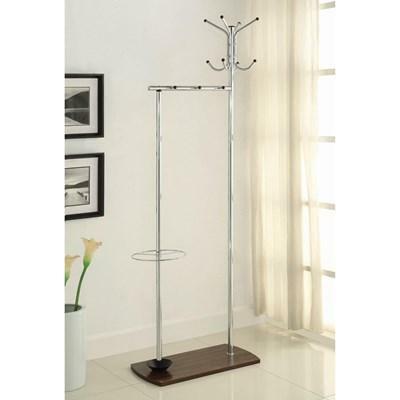 It features an umbrella stand and multiple hooks for ample storage options. 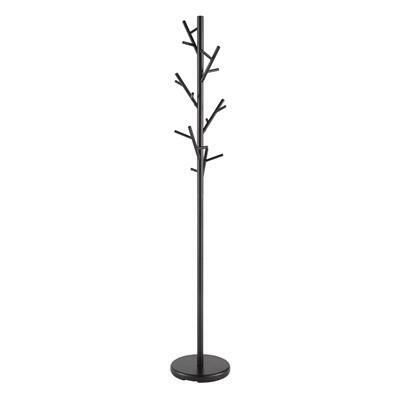 It comes in a black finish.